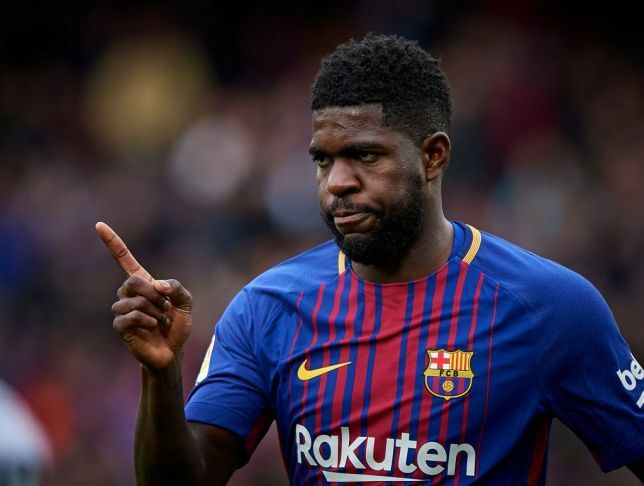 Reports in Spain have revealed that Samuel Umtiti is not under pressure despite interests from Arsenal as he is determined to stay and fight for his place. The Frenchman's repeated knee injuries have limited his chances this season and even though Clement Lenglet has risen in that position, the left-footed centre-back is not set to give up. Speculations flew around earlier that Barca could sell him out to raise money and free squad space if they succeed in getting Ajax sensation Matthijs de Ligt. All these have not distracted the World Cup winner who according to Marca is determined to remain at the Camp Nou to retrieve his place from Lenglet. It is believed that apart from Unai Emery who wants Umtiti in his quest to sign a defender, Manchester United are also after the Cameroon-born star. Umtiti's loose knee cartilage issue made him require surgery but he instead opted for conservative treatment over winter. The 25-year-old has been working hard to make his muscles strong once again. However, there has not been much improvement on that front judging from his poor form since making a return. A below par performance from him against Villarreal last night cost Barcelona a win with two of the four conceded goals coming from his mistakes.